The impact of the Affordable Care Act. How Mayo plans to deliver its knowledge and expertise to the broader health care community. How improving the quality of care will reduce health care costs overall. Read the entire article here and watch the video interview. 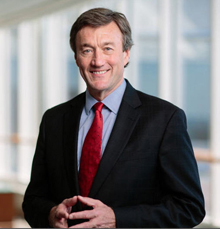 Editor's note: John Noseworthy., is President and CEO of Mayo Clinic.